Leftist SYRIZA’s central committee is to convene on Monday amid spiraling speculation about a government reshuffle aimed at giving the tired administration a lift. The committee is convening following days of debate about a possible change to the post of the party's general secretary. Prime Minister Alexis Tsipras is said to have offered the role to Interior Minister Panos Skourletis, a close aide who recently assumed the role of outgoing citizens’ protection minister Nikos Toskas. But Skourletis is said to be reluctant to assume the post and to have set conditions for such a move. The challenge for Tsipras is to maintain the balance in SYRIZA while opening up the party to other alliances in the countdown to general elections, in which the leftist party is certain to suffer losses. 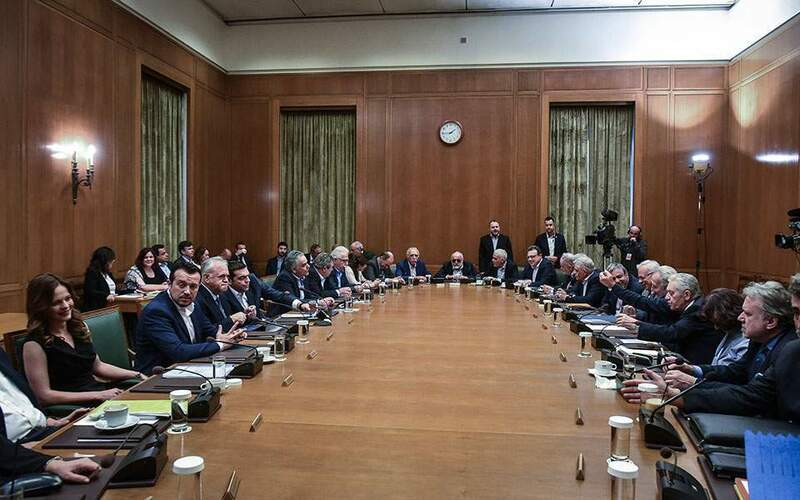 There has been much debate about the possible appointment of former PASOK cadres such as ex-ministers Yiannis Ragousis, Mariliza Xenogiannakopoulou and Louka Katseli. There is also talk about Tsipras reaching out to independent MPs closer to the center of the political spectrum such as Katerina Papacosta and Haris Theoharis. But there fears that such moves could alienate SYRIZA cadres who are hoping to enter the cabinet. It is unclear whether Tsipras will go for a sweeping reshuffle or just make a few changes. It is widely expected that Finance Minister Euclid Tsakalotos, Foreign Minister Nikos Kotzias and Defense Minister Panos Kammenos will stay put. There are some reservations about Kotzias due to his handling of a diplomatic spat with Moscow and about Kammenos for breaking ranks over the name deal with Skopje. Another concern is over pension cuts slated for January 2019. It seems Tsipras is willing to give up the counter-measures he had planned to offer if creditors agree to suspend the cuts. It is unclear, however, whether European officials would accept such a deal. In comments over the weekend, German Finance Minister Olaf Scholz said agreements between Greece and its creditors should be honored even after the third bailout. Meanwhile, conservative New Democracy leader Kyriakos Mitsotakis pledged to abolish the so-called Katrougalos Law, which recalculated pensions, and hit out at the government for offering handouts in the countdown to the Thessaloniki International Fair next month.